The seabed lander which was deployed in October 2017 (see previous article) has been on the seafloor at the experiment site collecting environmental baseline data. To enable us to access some of the data while the lander is still on the seafloor, it was built with some data pods that were designed to pop up to the sea surface so we could collect the measurements made so far. Due to rough weather when one of the data pods surfaced during the winter, we were unable to locate it. However, recently we were contacted by Øyvind, the son of Norwegian fisherman Øystein. 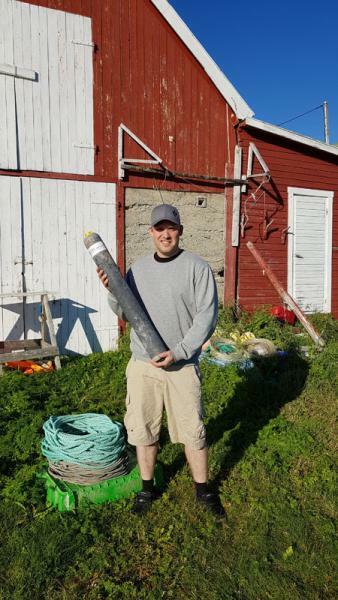 Øystein had found and recovered a ‘small torpedo device’ marked with our name and logo, drifting in the fjords near a small island called Vengsøy (shown above and see map below). Photographs confirmed that it was our data pod! 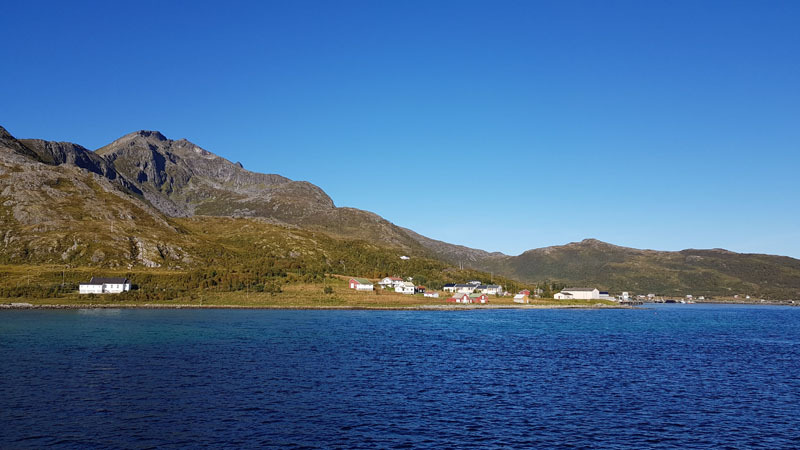 It has now been collected by one of our partners, Stefan Bünz, who is based in Tromsø and will be sent to our scientists in GEOMAR to retrieve and analyse the data. We are of course incredibly grateful to Øyvind and Øystein for taking the time to retrieve the data pod and to contact us about it.